HTC Desire C was announced just days ago and now we give you its review, that you can see below, in video format. This is a budget phone with Android 4.0, a device that goes for 200 euros and it’s expected to launch this month in stores. Formerly known as HTC Golf and HTC Wildfire C, the HTC Desire C takes what it can from the One series and prepares some nifty surprises for people willing to buy a budget phone in 2012. First of all, it brings Beats Audio technology, as printed on its lower back. It also relies on a SIM card slot, not microSIM like the One X and One. It comes with a microSD card slot hidden under the hood and easily accessible by removing the back cover. The SIM slot is under the battery. The back cover has a texture that reminds me of the Sony Ericsson Xperia Active and it’s pretty easy to remove. At the back we have the 5MP camera with a red ring around the sensor, just like the One S model, plus a speaker near it. At the top there’s the On/OFF button, the audio jack, while on the sides we find a microUSB port and volume buttons. At the front there’s a 3.5 inch display and the classic Android 4.0 ICS capacitive buttons. The handset measures 12.3mm in thickness, weighs 100 grams and supports a 320 x 480 pixel resolution. Also on board there’s 4GB of storage, 512MB of RAM and availability for up to 32 GB via microSD. As far as connectivity goes, we have HSDPA at 7.2 Mbps, WiFi and Bluetooth 4.0. 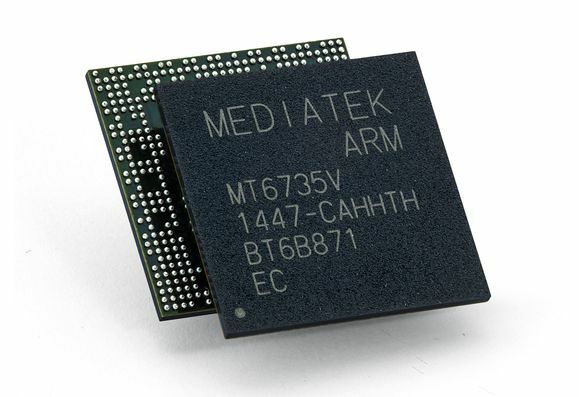 The CPU here is a Snapdragon 600 MHz unit, a stunning choice for an Android 4.0 device. The camera at the back is a 5MP shooter with autofocus, geotagging and without being accompanied by a front secondary camera. Completing the specs list there’s an accelerometer, proximity sensor and AGPS. On the power side, we have a Li-Ion 1230 mAh battery, that will give the user about a day of use. Keep in mind that this is the same battery as the one on the HTC Wildfire S, so if you’ve played with that model, you know what to expect. The HTC Desire C will be available in polar white, black and red, in case you want other flavours, different from our black unit. Moving to the multimedia aspect, the speaker at the back is pretty good for such a small phone and you also have those audio enhancements courtesy of Beats technology. Video playback looks great, although some formats and resolutions won’t be supported, so you have to be careful. You can take a picture during a video, lock the screen, set a fullscreen mode and also use sound enhancing on video playback. Finally, the camera is pretty mediocre, but that’s to be expected from a model that lacks a flash. Anyway, you get the same brand new interface from the One series, packaged with HTC Sense 4.0. Below you can see a sample photo taken with the camera on the Desire C and by clicking HERE you’ll reach a gallery of samples. Sadly, the camera app doesn’t support video and photo capture at the same time and the options are pretty limited. At least we have a decent amount of effects to apply. As far as software goes, Android 4.0 is here, with multitasking via swiping to the right to remove apps, just like on the Galaxy Nexus. There’s no special preview area where you can remove apps separately like on the One X and One S. The settings can now be found in the notification bar and they include the connectivity sliders that we use so often. There’s a Play Store link to be found in the applications list and the widgets area has that new look that HTC Sense 4.0 brought to the One series. The Friendstream socializing app strangely only supports Facebook on this phone, without being able to show Twitter updates. It may just be a bug on our unit… Performance-wise we’re pretty impressed, as the model scores better in AnTuTu benchmark than the Wildfire S for example. Our unit scored 2107 in AntuTu, while the Wildfire S scored 1522. In Quadrant we scored 1331, a pretty poor result, especially when compared to the 5103 points on the One S. Meanwhile, the Desire S is not that far from the Desire C, at least in AnTuTu, where it scores 2627 points. Call quality is good and overall the use experience is fluid, especially if you clean up the memory with the task manager every once in a while. And now it’s time for the verdict! On the plus side, the HTC Desire C has the great price, the fact that it runs Android 4.0 without flaws, it has a microSD card slot, good speaker, nice design, Beats Audio technology and pretty good battery. If you want defects and flaws, well, maybe the poor resolution is one, also the lack of flash, the underpowered CPU and maybe the bulky design. We give the HTC Desire C an 8 out of 10 for design, 8 out of 10 for software and 8 for hardware, for a total of 8.